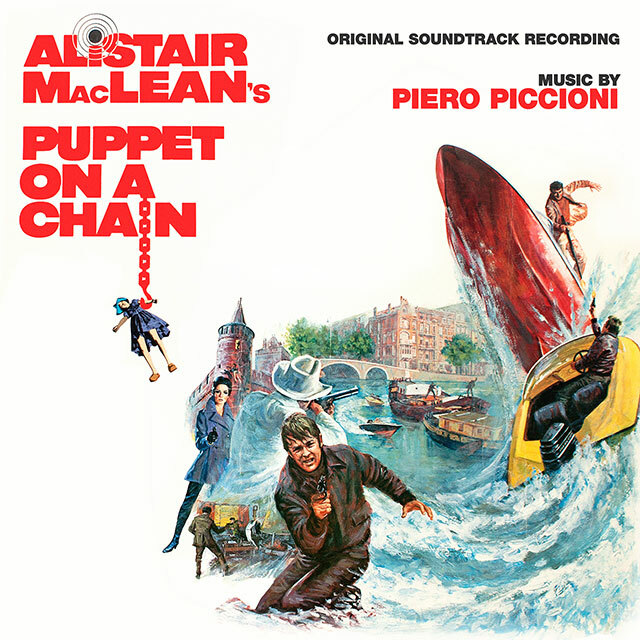 A masterpiece of suspense and no-holds barred action, Puppet on a Chain was adapted from Alistair Maclean’s 1969 novel and released in 1971. Directed by Geoffrey Reeve and starring a granite-jawed Sven-Bertil Taube, the film’s signature boat chase (lasting eight minutes!) along the canals of Amsterdam was rumoured to be the inspiration for the similar sequence in Bond’s Live and Let Die. The action is underpinned by Italian soundtrack maestro Piero Piccioni’s blistering Hammond-heavy score. Piccioni composed around 300 soundtracks over four decades, but was most prolific during the ‘60’s and ‘70’s, when he was sought out by directors including Francesco Rosi, Mario Monicelli, Alberto Lattuada, Luchino Visconti, Bernardo Bertolucci, Roberto Rossellini, Vittorio De Sica and Lina Wertmuller. 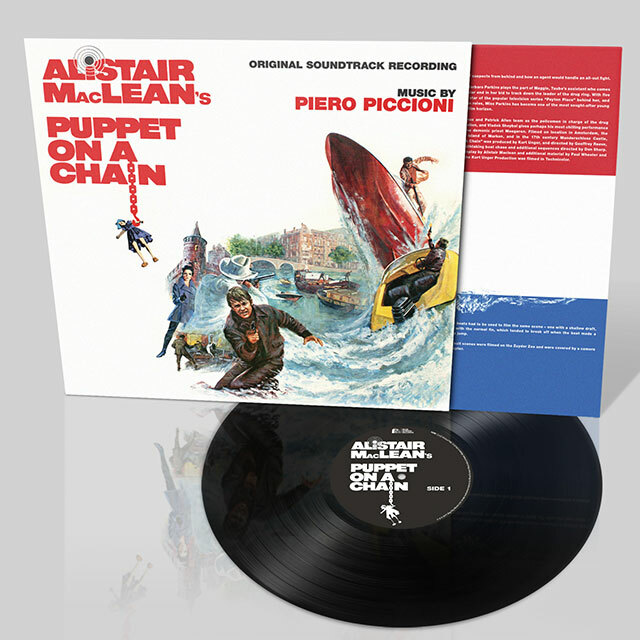 A talented self-taught jazz musician, Piccioni’s soundtrack to Puppet on a Chain retains effortless style, portraying a decadent 1970’s Amsterdam overrun with drugs and organised crime.